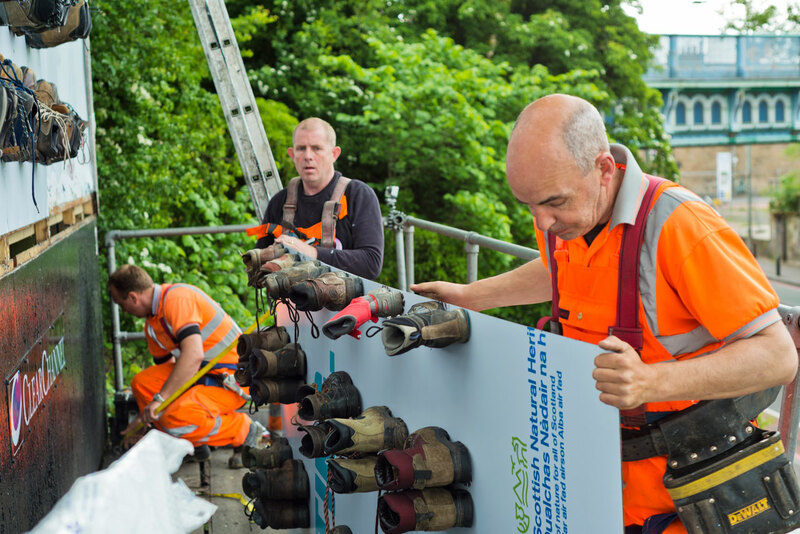 The National Trust for Scotland has incorporated 83 donated walking boots into its latest outdoor ad, following a social media drive to engage its Facebook and Twitter followers. 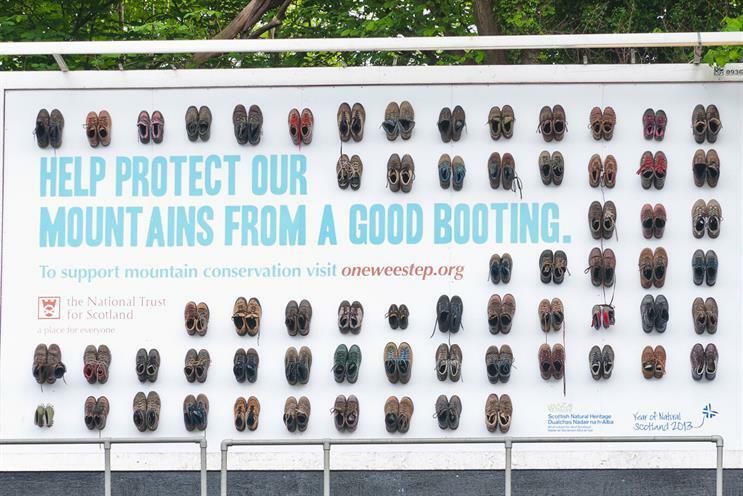 The ad promotes the One Wee Step mountain conservation campaign. It features a billboard in Edinburgh, created from 83 walking boots and containing the message "help protect our mountains from a good booting". Before the ad launched on 3 June, a social media campaign on Facebook, Twitter and on email appealed to the National Trust for Scotland's followers and members to donate walking boots to be used in the project. The billboard will be live for four weeks. It is accompanied by online display ads, print ads and a purpose built microsite www.oneweestep.org where video content features renowned Scottish hill walker Cameron McNeish. Amy Gunn, the National Trust for Scotland's direct marketing manager, said: "We believe this innovative campaign has the power to engage the public in a very unique way, while helping to communicate the message of the National Trust for Scotland’s important mountain and countryside work." The Union is the creative shop behind the ad with Michael Hart and Andrew Muenchow serving as the copywriter and art director. Carat Edinburgh and Posterscope Manchester were responsible for media planning and buying. Brooke Gregor, the hyperspace project director at Posterscope, said: "This is a great example of how an outdoor ad campaign can move beyond promoting a message to create a compelling narrative. "By inviting the public to become part of the creative, the ad highlights the National Trust for Scotland’s conservation work in a very personal way. Each boot has a great story to tell and we are excited to be part of an ad campaign that will captivate the audience wholeheartedly."